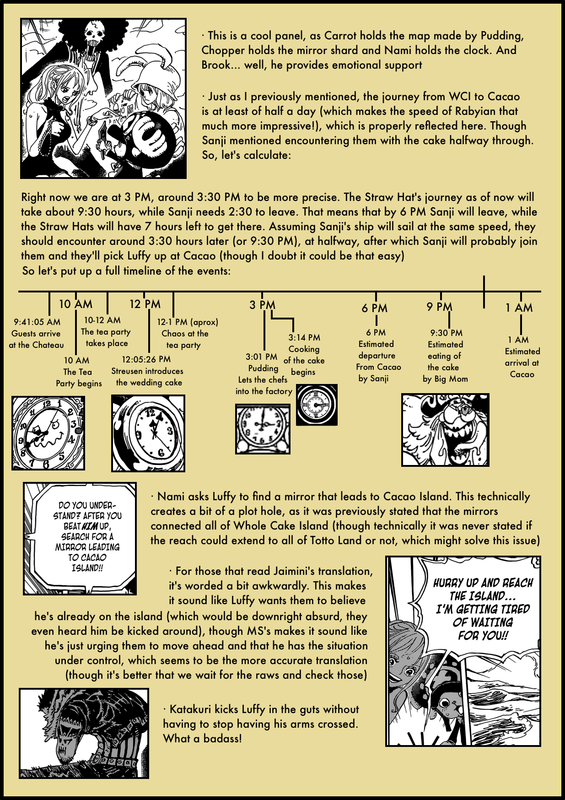 At first I felt like this chapter was a bit short and underwhelming, but after going through it there’s a fantastic quantity of secrets and details! This was read was really interesting good stuff. 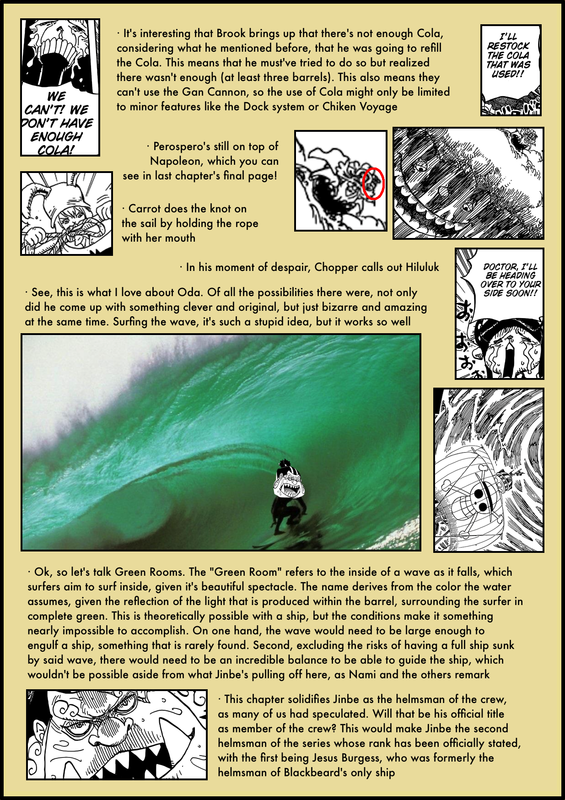 where is the chapter secrets? What do you mean? It’s on this page, cannot you see it? Hi! 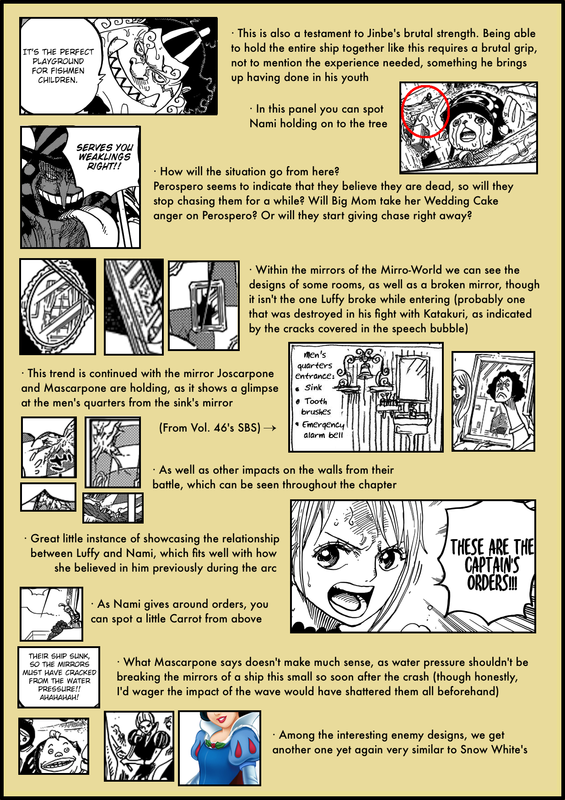 I saw a theory that it was not Luffy talking to Nami and the others but rather Brulee because of the eyelashes in the second panel. How do you rate this? 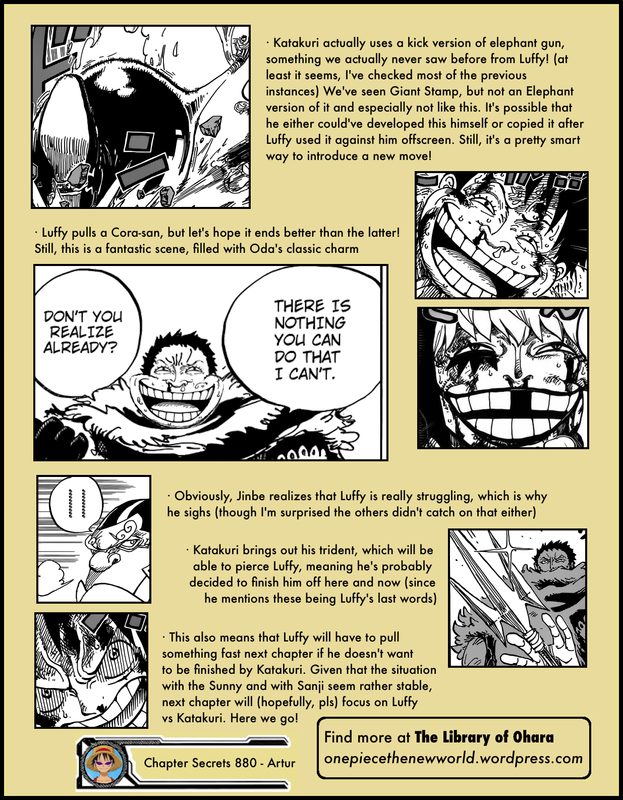 That sounds like a very interesting theory at first, but I’d say it’s simply Oda’s art style, there’s several times before where Luffy did a funny face that involved his eyelashes. Furthermore, if it were Brûlée he’d have to be mirrored, not to mention he wouldn’t have different eyeleashes to begin with (Brûlée’s clones are perfect mirrored clones), and of course there’s the fact that Brûlée wouldn’t behave this way. 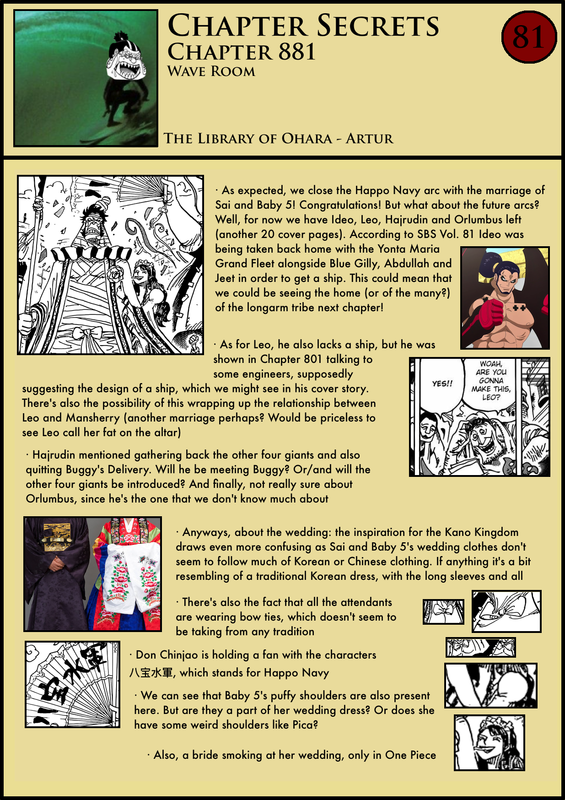 It’d be interesting if Oda did something like this again though!